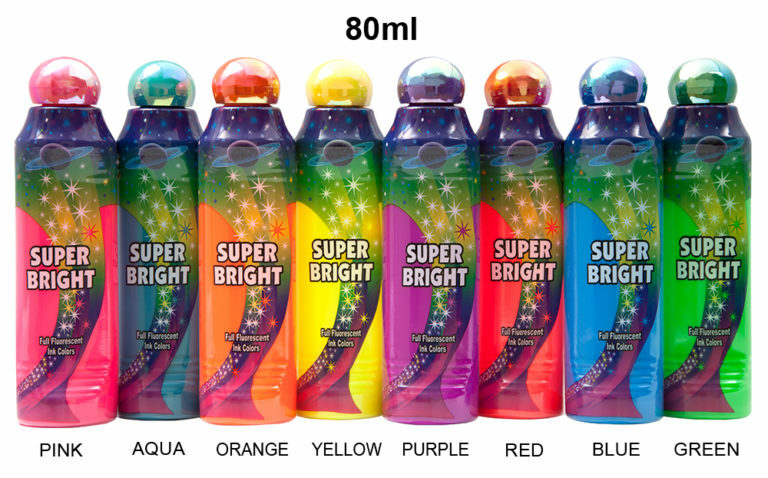 Dab-O-Ink Super Bright Full Fluorescent Inks are available in 80ml and 110ml Bingo Markers. 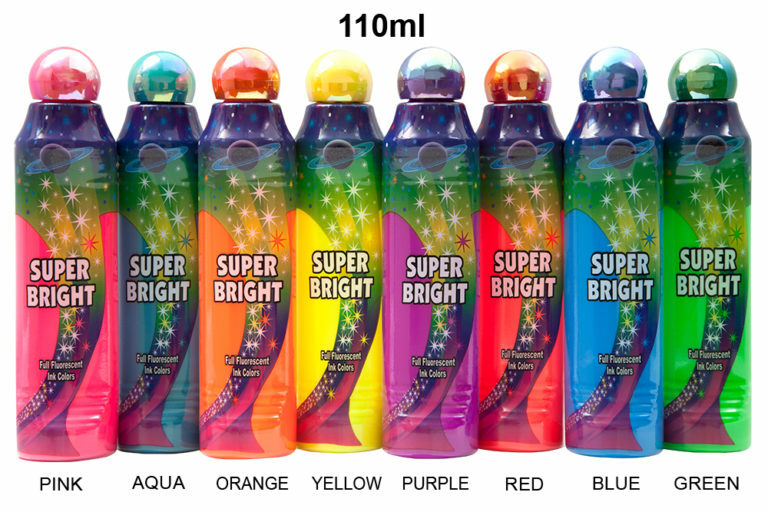 Super Bright is a full fluorescent ink formula with EIGHT glow-in-the-dark ink colors that show through beautifully in clear bottles. Perfect for black light bingo events.